A new maintenance release of FurMark is available. 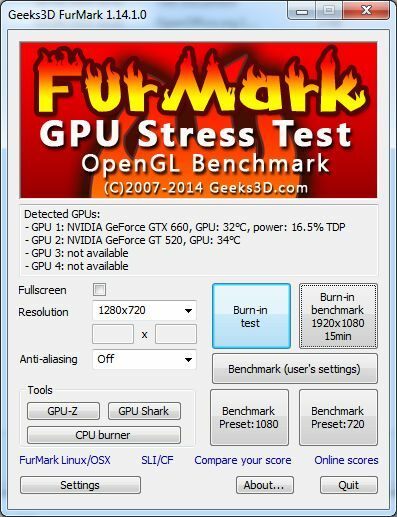 FurMark 1.14.1 brings better Pstates (performance states) management for NVIDIA GPUs and better detection of Intel GPUs. The /dyn_camera command line has been fixed and two new command line options have been added to launch Preset:1080 and Preset:720 benchmarks: /preset=1080 and /preset=720. - added support of GeForce GTX 980 and GTX 970. - fixed a % typo in the display of GPU data during the rendering. 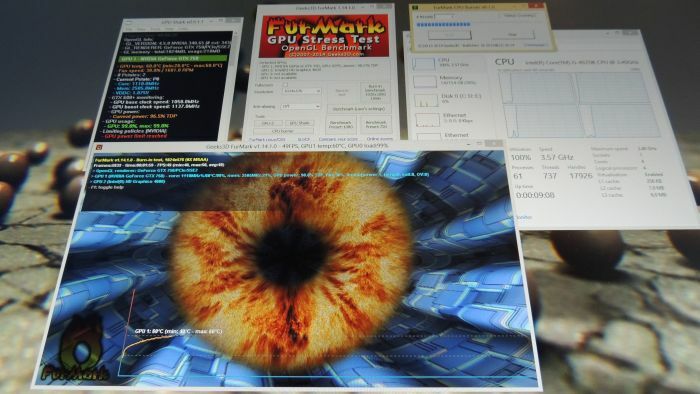 - improved reading of GPU data for Intel GPUs. My test ran for about 7 hours with no result. Great software, thanks for sharing.